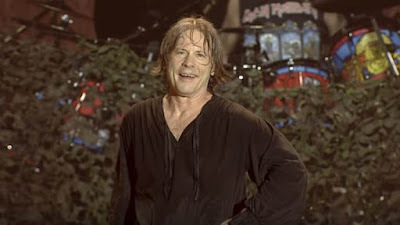 Iron Maiden singer Bruce Dickinson celebrated his 60th birthday on stage during the band's August 7 show in Birmingham, UK. Set to begin in Sydney on October 18 before hitting Melbourne, Canberra, Newcastle and Brisbane, the series will see the rocker sharing stories from his book, which debuted at No. 1 on the UK’s Sunday Times Bestsellers List and No. 10 on the New York Times' Hardcover Non-Fiction Best-Seller List upon its release late last year. Iron Maiden are currently playing shows on the UK leg of their Legacy Of The Beast summer tour, which wraps up this weekend with two shows at London’s O2 Arena.